St. Augustine is one of our favorite destinations for a wedding and the White Room has such a great venue. Breana and Frank were the perfect couple for this destination wedding location. They were a great example of what it means to go with the flow. 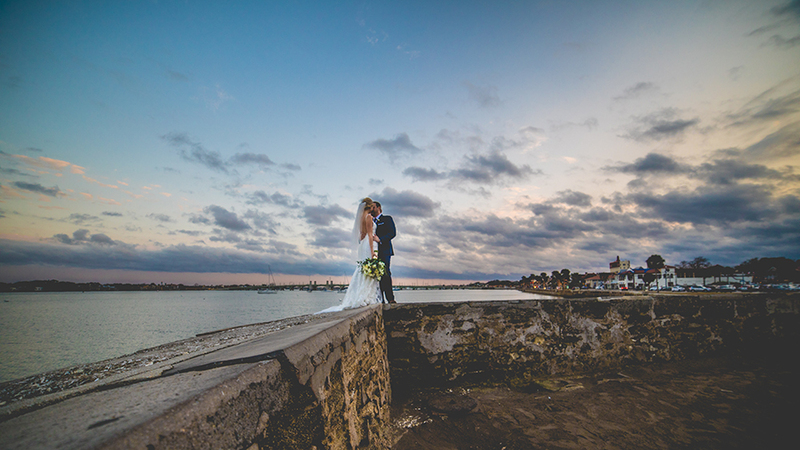 Even though the day started with a good amount of rain the enthusiasm for the day was not affected and after the beautiful ceremony the skies parted for an amazing sunset at the St. Augustine Fort. These two were nothing but smiles and laughter as the celebration continued with the reception at the White Room. We are beyond happy for this amazing couple and once again blessed with an amazing opportunity to document a fantastic love story. Here is a look into their St. Augustine destination wedding. Frank & Breana Teaser from Brandon Kari on Vimeo.